Advertisers were undoubtedly baffled about how to sell the general public on a butter substitute made from partially hydrogenated soybean oil when Parkay was first introduced in 1937. But, for anyone who was of TV- watching age between the early 1970s and the late 1990s, there can be no doubt that the advertising industry met that challenge with a campaign so memorable and successful it would make fictional advertising guru Don Draper of Mad Men jealous. In a series of commercials, celebrities found themselves in the vicinity of a tub of Parkay, referring to the product by name, only to have a talking version of Parkay repeatedly insist that it was butter. 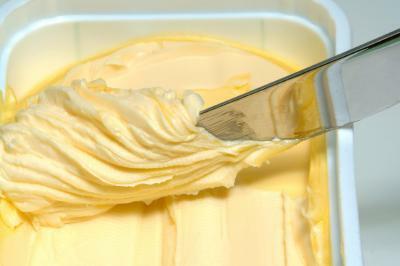 Following a short argument, each celebrity would ultimately taste the Parkay, admitting that they had been wrong and that it was clear it was actually butter. At this point the talking tub of butter substitute would then say "Parkay!" When we thought back to Parkay's advertising campaign we couldn't help but think about the bread and butter of community banking--small business lending, which is our topic for today. We start with a quick update on commercial real estate (CRE) lending, which is performing pretty well across the country. Valuations of office buildings in major cities around the world have not only rebounded from the dive they took after the credit crisis, but have hit record highs in cities such as Chicago, London and Hong Kong. Further, the sector's strength is visible on the balance sheets of community banks. In fact, according to data from the FDIC, as of the end of Q2 2015, CRE loans among community banks were up 9.8% over the past 12 months. This compares to C&I loans, which were up 9.0% during the same period. At the same time, the number of delinquent CRE loan balances has been consistently declining across the banking industry. In fact, Q2 marks the 21st consecutive quarter that delinquent CRE loan balances have declined. We bring all this up to not only get you up to speed with CRE and C&I lending performance, but also to alert our community bank readers that as lending improves, more and more financial technology companies (fintechs) have shown up looking to carve out their own share using online (marketplace) lending platforms. As background, a recent Forbes story points out that marketplace lending companies had originated about $12B in loans as of the middle of this year. Growth rates have been extraordinarily high, which is one reason banks have been monitoring things here. Meanwhile, research by the Harvard Business School in 2014 pointed out that "the current online marketplace for small business loans falls between the cracks for Federal regulators." This is one reason regulators too have been increasing their scrutiny in this lending channel. For now, marketplaces have more flexibility than traditional banks. They leverage online information, lending decisions are quick and costs are low (no branches). On the data front, this approach has led to the collection of some unusual data points on borrowers that include using crime statistics in lending areas; capturing social media posts of borrowers; and even monitoring Yelp to assess how consumers feel about a given business and the sort of service they provide. These are all then incorporated into proprietary algorithms to determine when to lend, how much to lend and what price to charge. No matter your opinion on these marketplaces, such alternative lending platforms do seem to appeal to younger generations that prefer doing things online. Community banks cannot afford to ignore these lenders, but must instead continually challenge the existing business model and status quo of banking. One area to begin is to pour more resources into how your team can more quickly review and approve loans. For this short attention span world, the shorter the process gets the more you should publicly proclaim it to bring in borrowers. Keep moving forward even if only one small step at a time! Disappointing home sales and manufacturing activity along with a decline in the equity markets drove Treasury yields down 3bps. Investors await the outcome of this week's FOMC meeting. From time to time we are asked what percentage community banks will use for house limits vs. legal lending limits. While it depends on the bank, a rough data point for you based on our analysis is about 50-75% of legal limit for house limit post economic downturn. A survey of small business owners by Principal Financial finds: 74% say they have surplus capital; 66% believe their business financials will improve in the next 12 months; 42% plan to add staff; and 33% plan to increase wages. The current Fed Funds rate is 0% to 0.25%. Given that so many bankers are trying to figure out when rates will rise and by how much, it is interesting to note Fed funds futures show rates rising by about 0.25% this year, 1.00% by the end of 2016 and 1.75% by the end of 2017. Meanwhile, the FOMC summary of projections has the rate rising to about 0.50% by year end 2015, 1.75% by the end of 2016 and 3.00% by the end of 2017. We'll have to wait and see who is correct over the next few years. Research by NBER and Moody's finds the current duration of the US recovery is running about 70 months or roughly the same length as the recovery that ran from 2001 to 2007. Meanwhile, the average since 1945 has been about 59 months. The longest one in recent times went for just under 120 months from 1991 to 2001. The USDA projects farm income will decline 32% this year to the lowest level since 2009. Meanwhile, the farm debt to asset ratio is projected to climb to 10.9% by the end of this year, the third lowest ever. Research by Equifax and Moody's finds the percentage of people age 18 to 34Ys old that are living with their parents is around 23% currently vs. the roughly 18% level seen from 1990 to 2005.